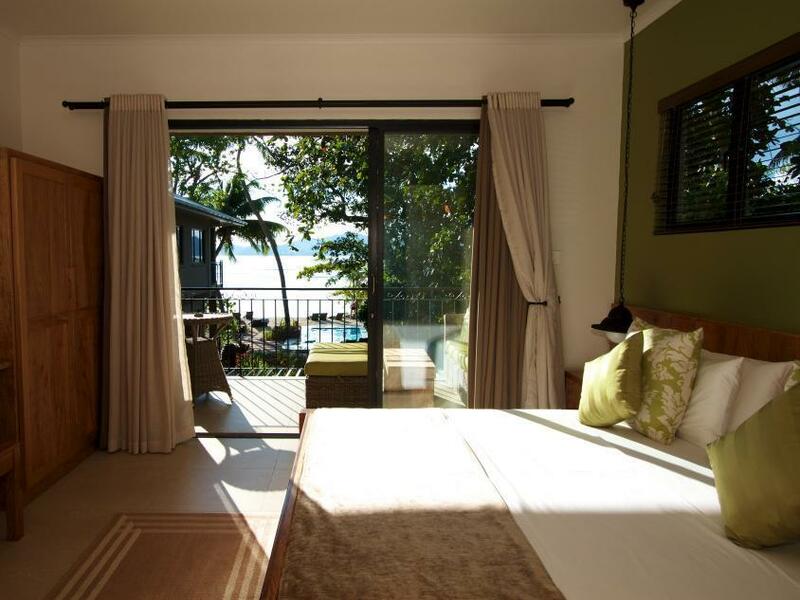 ﻿ Le Repaire Hotel Kepulauan Seychelles. JIMAT di Agoda.com! Ada soalan mengenai Le Repaire Hotel? Dibina pada 2012, Le Repaire Hotel merupakan tambahan menarik di Kepulauan Seychelles dan satu pilihan bijak bagi para pelawat. Dari sini, tetamu boleh menikmati akses mudah kepada semua yang bandar meriah ini boleh tawarkan. Bagi anda yang ingin pergi agak jauh, Azzura Pro-Dive, Mason's Travel, Feri Inter Island merupakan beberapa daya tarikan untuk pelawat. Menawarkan tetamu hotel perkhidmatan yang unggul dan pelbagai kemudahan, Le Repaire Hotel komited untuk memastikan penginapan anda berada di tahap seberapa selesa yang mungkin. Untuk menamakan beberapa kemudahan di hotel ini, terdapat Wi-Fi percuma semua bilik, simpanan bagasi, Wi-Fi di tempat awam, penjagaan kanak-kanak, bilik keluarga. Semua bilik tetamu menawarkan pelbagai jenis tahap keselesaan. Banyak bilik turut menyediakan televisyen skrin rata, internet wayarles, internet wayarles (percuma), bilik larangan merokok, penyaman udara untuk memuaskan hati tetamu. Hotel ini menawarkan pelbagai kemudahan rekreasi yang sangat baik, termasuk kolam renang terbuka, taman. Dengan lokasi yang ideal dan kemudahan sepadan, Le Repaire Hotel sangat memuaskan hati. Harap maklum hotel boleh mengaturkan lawatan ke pulau berhampiran: Isle Aux Coco, Grand Soeur, Curieurse, Aride, dan Cousin. Lawatan memancing dan menyelam juga boleh diaturkan. Kerja-kerja pembinaan sedang dijalankan berhampiran dengan resort dari 10 Disember 2018 hingga 30 Jun 2019. Terdapat beberapa kawasan yang akan terjejas dengan bunyi bising dari 08:00 AM hingga 05:00 PM. Untuk pertanyaan lanjut, sila hubungi terus pihak penginapan. Sepanjang tempoh ini, tetamu akan ditawarkan diskaun istimewa untuk penginapan. Rooms (although a bit small) are spotless clean, very comfortable and functional. The staff gives you an introduction of the island and what to do / which places to avoid. Bicycles are also available for rental. The restaurant offers great italian food (service can be slow); like us, you can also buy some specialties from the reception (home marmalade) to bring back home a bit of your stay at Le repaire! Definitely, one of the best places to stay on this island! we loved it and would highly recommend it to any friends! The staff the view the food the beach. Great from start to Finnish. Very nice people running the hotel . The pizzeria is out all this world, and the fish meals are amazing. The beach in front of the hotel is so nice. It's just all you need here for a really nice quite holiday . I love it so much every moments! Amazing place, amazing sunset view. The restaurant is percect with fresh seafoods and delecoius pizza! Nice and confortable room. Pros: very clean, friendly and quiet hotel in a great location. Cons: limitted breakfast options; only Italian food served; renovation work next door that despite the efforts of the hotel staff will wake you up from as early as 7am. Not as good as projected... italian restaurant is fine. Rooms are small. We couldn't ask for better. The hotel owners were truly amazing. Really warm and nice people. Helped us a lot to plan our trip and also in personal problems. The hotel was beautiful and the food is the best italian in the island for sure.! As with all boutique hotels, get to know the manager and your stay will be amazing. The restaurant serves authentic Italian food, down to the ingredients, oven and staff and is amazing. The access to the beach is right down the garden, the rooms are great and I recommend staying in a beach facing one to get a great sunset. There is no doubt that if we return to La Digue we will stay there, the only issue is that you need to book very in advance unless you're lucky! I got sick while on La Digue and unfortunately had to spend a lot of time in our hotel room. They were all so concerned and tried to help as much as possible. Prior to getting sick, we spent an amazing day walking along the coast to Anse Source d'Argent. It was quite spectacular. The food at Le Repaire was wonderful. The chef, the folks at the service desk, and the maintenance people were all very friendly. It says a lot when, despite the stomach bug and having to go to the hospital clinic, we loved our stay at Le Repaire and on La Digue. It remains our favorite hotel and island. Beautiful rooms, excellent food and warm reception! Coming to le Repaire was fantastic. We were picked up by the boat by the husband in the managing couple,on his brand new pack bike. From the first second we were pampered and very well looked after. We had help renting bikes, provided with routes and booking outings. The food, mmmm! Fantastic, rustic italian cuisine with finesse. Half board was an excellent idea - no predefined menu, you just picked from the regular menu. We tried a few other restaurants but we were always happier at le Repaire. The pizzas among the best we've ever had! The other half of the dynamic duo running the hotel, provided us with fantastic service both during meals and any other time. We had the superior sea view suit Bwa de Roz, fantastic view, beautiful finish and lovely balcony. Great beds. Highly recommended! The only downside was the fact that the beach was a bit on the shallow side for two grown ups enjoying their snorkeling, and that the hotel rooms had a little bit of a noise issue due to the neighbors chickens, but of minor concern to us. In conclusion - FANTASTIC place with the friendliest people you could ever hope to find! 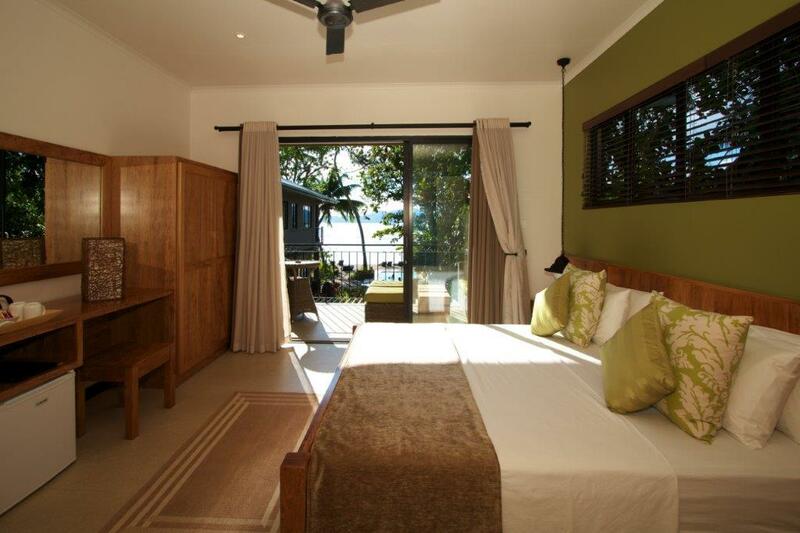 Great room, stylish decor, excellent food, within walking distance to everywhere on the island. i stayed at la repaire for 5 days in january and absolutely loved it. i highly recommend the bwa de roz room, which has one of the best views of any hotel room i've ever seen. the food and service were excellent, and the italian couple managing the hotel were wonderful - i'm already thinking about a return trip next year! Modern, clean, and friendly service! Before going to Le Repaire, there was no reviews about this hotel and I decided to take a risk. It's very close from jetty (10min. walk) and we even carried our suitcase along the road from jetty to the hotel. Upon entering the room, it was just as it is in the picture. Located at the beach side. Beautiful furniture made with local woods. Modern interior. From bathroom, shower, lights, sofa bed, closet, to balcony, I like every piece of the room. Breakfast was wonderful, especially local fresh mango juice!! This hotel property was owned by the owner's mother and when her mother passed away, the daughter repaired the place and gave a birth to this beautiful place. I guess that's where the name Le Repaire came from. 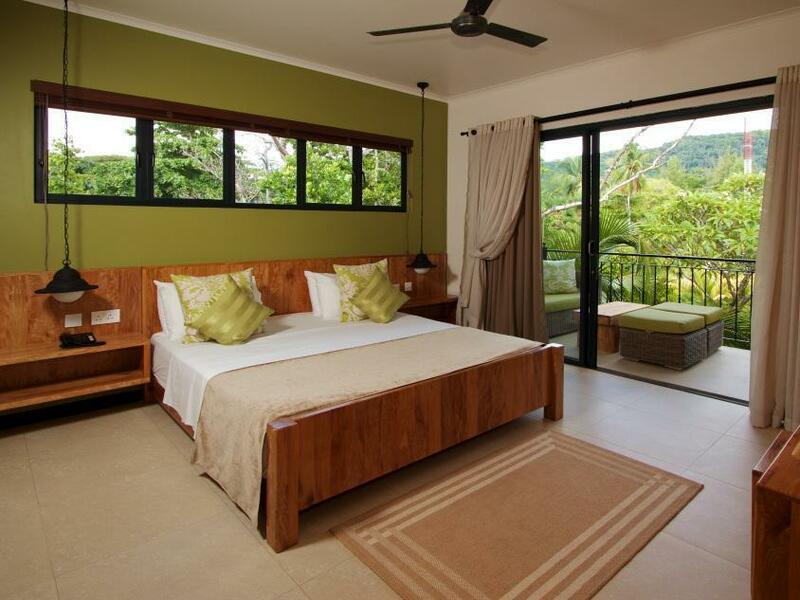 We visited other hotels in La Digue but this is truly the best hotel you want to stay in La Digue. (There is le domaine de l' orangerie which is upscale hotel but it's pricy to stay there and the beach isn't that nice) Pool is small but when there is beautiful beach, why would you want to stay at the pool? I enjoyed every moment in Le Repaire. Thank you! Excellent views,very nice accommodating people/service,allowed us very late check out( extended by 4-5 hours).Fairly sized rooms w/ all the required amenities.Near to Jetty( walkable distance), simple and serene Hotel. We enjoyed our stay at Le Repaire. Rgds Sumant & Susita Mishra, India. Max 3 stars standard in very high price! Very small room, the most expensive restaurant I have ever meet.